Day #3 - Departure day - was already here. I can't believe how fast time was flying. It seemed like we had all just met for the first time - and it was already time to say goodbye! No fair! 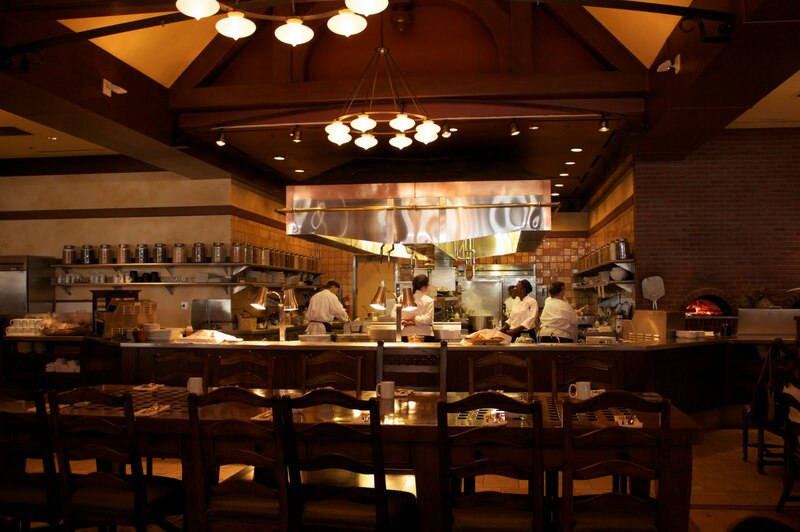 Our last "official" meal for 5 Stars to Mickey Bars would be at Cat Cora's Kouzzina. While this was a "repeat" restaurant for me, I was glad to be going back. The breakfast options here are unique and yummy. Our table sampled quite a few great options - but my waffles topped with Mascarpone where incredible. My favorite dish of the whole trip! Of course, with all of us foodies there, this was bound to happen. Poor Arthur! BUT, we did all learn to ask if it was ok to eat before digging into our meals! With breakfast over, it was so hard to say goodbye - but we had to! We had pushed it so late, that we only had 1/2 hour to finish packing up and check out of our rooms! Amy & I took the opportunity, to shop at Downtown Disney, checking out new stores we hadn't seen before: D-Street, Little Miss Matched, and Trend-D for Amy. I love these new shopping options! Each is unique and brings something special to shopping! Souvenirs were bought.. and guess what - we were... gasp!... hungry again. We chose to end our trip as we started it - at Big River Grille. 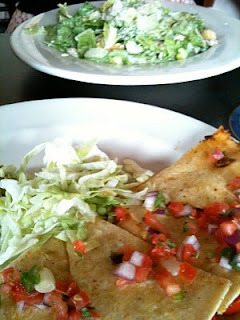 Salads and veggie quesadillas fueled us up for the long trips home! Boo! Luckily, Amy and I were on the same flight to Atlanta - so we were able to postpone the hugs and goodbyes until then. And even more lucky (for me), she lives close enough that I'm sure I'll get to see her again soon! Hope you've enjoyed! I still can't believe that I was lucky enough to go along on the trip! It was a magical time!